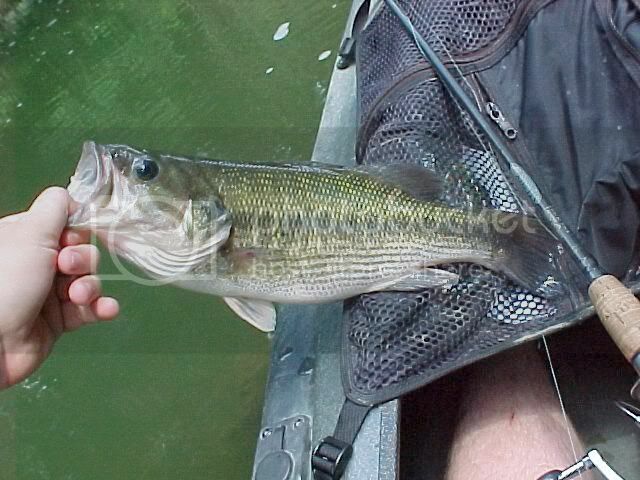 There seems to be a lot of confusion when trying to ID Largemouth and Kentucky Spotted Bass. Granted, they DO look A LOT alike. Take a closer look at the artist renderings. First, the art of the spot is a little more gray and less green than usual, but Spots are almost always more olive gray on top while Largemouth are almost always green. Spots have a more pronounced bright white lower half and belly, where Largemouths are pale shiny whitish green. Largemouth have much larger mouths with the jaw extending past the eye. 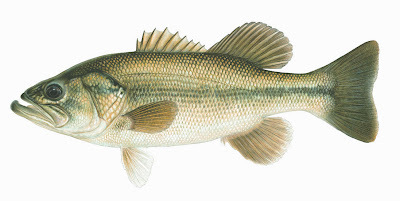 Spotted bass have a rough tooth patch right on top the tongue. 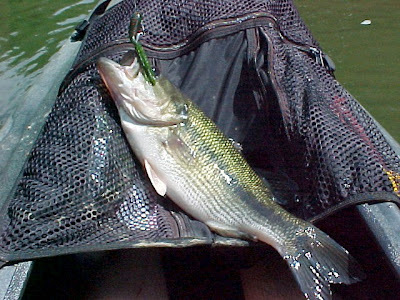 Spotted Bass's top dorsals are connected, LMB's are not. Spots have rows of spots. LMB sometimes have them too. Both are fun to catch. 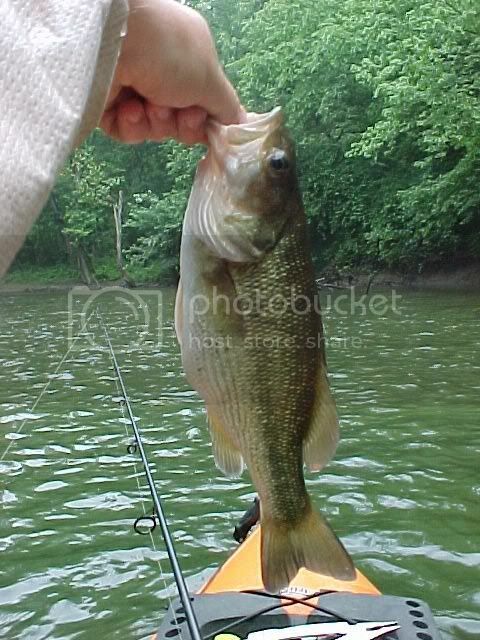 In Indiana, Kentucky Spotted Bass can populate your slower, siltier creeks, the seem to love wood piles. They grow slow and fat and reach spawning age at a relatively small size. Spotted bass fight well, nearly as entertaining as smallmouth. Problem is, a 15" Spot would be a 17-18" Smallmouth. They grow slow and die young. Competing with Smallmouth in marginal habitat and often out eating and producing the smallies. Little Sammy saves the day. How Kent Tekulve Helped Me Learn Cast.